For whatever reason, it’s seemingly impossible for a film studio to churn out a compelling third installment in a superhero franchise. From Superman 3 to Batman Forever to Spider-Man 3, comic book fans typically acknowledge the third installment in a previously successful series as the point at which a combination of studio meddling and creative fatigue reduces formerly compelling protagonists into broad caricatures and, in some cases, even parodies. 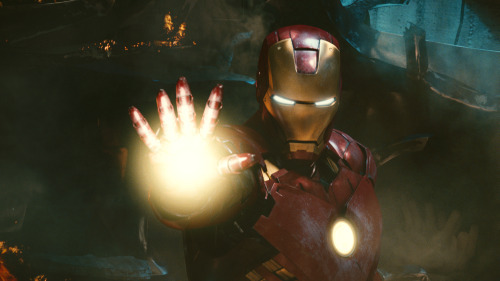 Keeping that unfortunate reality in mind, many fans are looking ahead to Iron Man 3 with some trepidation. After all, original director Jon Favreau left the series after the second installment, and many Marvel enthusiasts doubt that new writer/director Shane Black will be able to keep the character of Tony Stark interesting on his own after he teams up with Captain America, Thor, Hulk and the rest of Earth’s Mightiest Heroes in next summer’s The Avengers. Speaking with the Los Angeles Times’ Hero Complex blog, series star Robert Downey Jr. allayed many fans’ concerns with the future of his character and the series that kick-started the cinematic Marvel Universe back in 2008. Downey previously teamed with Black in 2005 for Kiss Kiss Bang Bang, a tongue-in-cheek take on the film noir genre. Black’s other writing credits include Lethal Weapon, Lethal Weapon 2 and The Last Boy Scout. For the full story, head over to Hero Complex by clicking here.